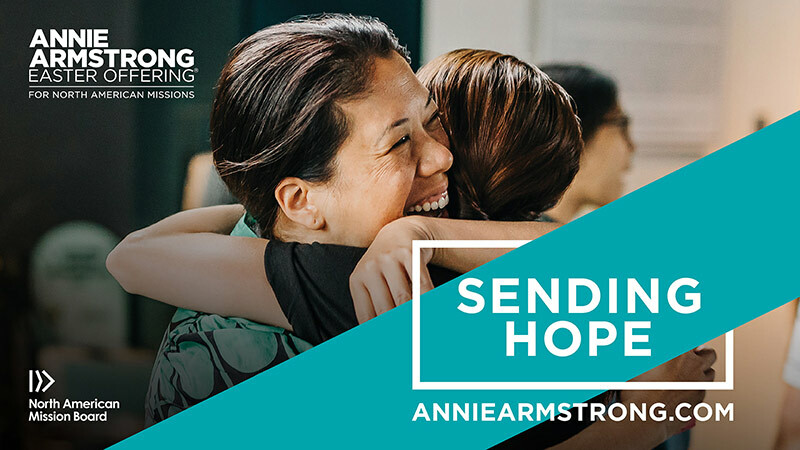 Our Annie Armstrong Easter Offering for North American Missions is underway! Every penny given to this offering will go to the North American Mission Board of our Southern Baptist Convention to be used to share the Good News of Jesus Christ all across our nation and throughout North America. Our church goal this year is $4,200, as we cooperate with tens of thousands of other Southern Baptist Churches in supporting this great Missions effort. You can give over and above your regular giving at any time between now and the end of April to support this great cause of sharing Jesus with North America! Previous PostATTENTION: All Sunday Services & Activities Canceled Due to Snow – 3/3/19Next PostCelebrate the Resurrection with Us – Easter Sunday, April 21! Sunrise Service, Breakfast, 2nd Service!